The Internet and social media these days have transformed the world. It may also bring additional risks into our homes. You will have to protect your children from falling prey to the online predators. It can be challenging to deal with the guilt of not being there for your kid, to keep them safe all the time. Especially in the internet age, where it is an insurmountable goal to keep the kids insulated from the hazards that lurk around the digital corner. Internet which helps us to share information at any place in the world, the best place for hanging out and stay connected to our friends and family. Sadly, the internet is a dangerous place for kids. Children are going online at a younger age and as a parent, you have to be concerned about your child’s safety when they are going online. Kids spend their too much time sitting online which isn’t good for them. Usually, kids are just watching videos or playing games, while some kids end up being exposed to something dangerous online. Teach your kids how to be safe online, let them know the potential dangers of being online. Teach them how to be responsible online as you teach them how to be safe when they go out for playing. Kids also need to be aware of answering the unknown messages online from strangers. 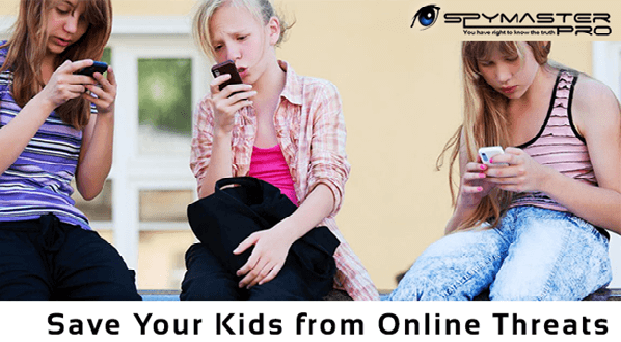 It is not wrong to allow your child to have free online time, but it’s a good option to limit their internet usage to instant message friends, play games or use any social networking site. Limit the usage of the internet and tell them once the time is up, the remaining time will be for the family. The risk of getting your kids into dangerous waters online gets reduced when their internet usage is limited. Other than keeping the computer in the kids’ room, you can keep the computer at a common area where everyone can see what are they doing while they are online. Doing this your kid will be much less likely to engage in an online trouble. Make sure the screen of the computer can be viewed by you and isn’t towards the wall. Teach your kids about the online dangers of using the internet. Tell them openly about the stuff they should open and things that they should avoid while using the internet. Tell them not to share their personal information while chatting online with strangers. You can teach them not to post anything inappropriate without their permission. Also Read: How to Spy On My Daughters Cell Phone Without her Knowing? Always be a friend with your kid on a social networking site, follow you kid on Instagram and be a friend with them on facebook. This way you can know about their friends and their posts. You can check them when they are online. Kids follow what their parents do if you will be online for a longer period and at nights so will they. Try to make a limited usage of the internet in front of your kids. While you put some restrictions on your kids you can expect some complaints from them. But in future, they will thank you for keeping them safe when they get older and have their own kids. Parents give their kids privacy when they are online and this may be dangerous for your kids, as they may hide things from you. Parents should always keep a check on the online activities of their kids. Child cell phone monitoring software is a modern monitoring program used to remotely monitor entire mobile activities of children.